Alexander Carmichael, folklorist, antiquarian, and author, was born on 1 December 1832 in Taylochan, Lismore, ninth and youngest child of Hugh Carmichael (1783-1862), farmer and publican, and Elizabeth (Betty) MacColl (1791-1863). After attending schools on the island and, apparently, in Greenock, Carmichael entered the civil service as an exciseman, serving in Greenock and Dublin before stints in Islay and Carbost, Skye. There he joined the team of pioneering folklorists collecting tales for the four-volume Popular tales of the West Highlands (1860-1862) compiled under the auspices of the tireless polymath John Francis Campbell (1821-1885). The principles of ‘storyology’ inculcated by Campbell – the necessity of recording the performance accurately, accompanied by details concerning the informant – exerted a fundamental influence upon his collecting for the rest of his life. Nevertheless, such principles clashed with Carmichael’s own artistic, spiritual, and idealistic cast of mind, his desire to redeem Gaels and their traditions from the odium of outsiders and the perceived hostility of the evangelical church, and his belief that it was his duty not only to record the present, but also to retrieve and reconstruct a glorious Gaelic past. Following a two-year interlude working in Cornwall, Carmichael returned north at the end of 1864. This time, probably on his own request, he was assigned to the Uists. His new post, initially based in Lochmaddy, allowed him to undertake arduous journeys through some of the richest areas for folklore in western Europe, scribbling down in a series of field notebooks an extraordinary range of material ranging from long Fenian tales and ballads, through historical narratives, songs, hymns, and charms, to anecdotes, observations, proverbs, riddles, and unusual words. In addition, the influence and encouragement of the surveyor and antiquarian Capt. F.W.L. Thomas focussed Carmichael’s attention upon archaeological sites in the Hebrides, and their associated traditions. Although Carmichael had to rein back on his collecting expeditions following his marriage to Mary Frances MacBean (1841-1928) in January 1868, and the births of their four children Alexander (Alec) (1868-1941), Elizabeth (Ella) (1871-1928), Eoghan (1878-1966), and Iain (1878-1928), the family’s house at Creagorry, close by the inn where people would wait until the South Ford between Benbecula and South Uist could be crossed, meant that he could still gather much material from passers-by. From 1873 Carmichael was able to experiment with presenting in print some of the lore he had collected, through his position as Uist correspondent for the Highlander, the radical crofting newspaper edited by John Murdoch (1818-1903), whom he had first met when they worked together in Dublin some fifteen years previously. After moves to Oban, and then back to Uist, he eventually settled in Edinburgh where he was to spend the rest of his life. The liveliness of Carmichael’s agrestic descriptions caught the eye of Francis, Lord Napier (1819-98) – indeed, he later credited the piece with first inspiring in him an interest in Highland affairs. Carmichael was requested by Napier to contribute two appendices for the Report of the Crofting Commission (1884). Rather to his alarm, however, Carmichael insisted on including a number of Gaelic songs and hymns in his work in order to illustrate the grace and refinement of Hebridean crofters. Although Carmichael’s leanings towards spirituality were by no means latent previously, his interest in the subject had doubtless been heightened both as a result of ongoing study he was undertaking concerning the place-names of Iona, drawing upon his comprehensive work on the toponymy of Uist and Barra for the Ordnance Survey, and also the fact that, having lived among the islanders for many years, he was now in a position to gather private and personal as well as more ostensibly public lore. Carmichael’s appendices in the Report proved exceptionally popular, an uncontroversial oasis in an exceptionally contentious volume. This encouraged Carmichael to embark upon a much larger work on the subject. 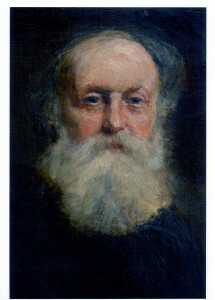 During the final decade of the nineteenth century, Carmichael, now in retirement, further consolidated his position not only as doyen of Edinburgh’s Gaelic intellectual community, but also as a crucial player in Scotland’s Celtic Renaissance, for instance in his contributions to the seminal journal Evergreen (1895-6) edited by Patrick Geddes (1854-1932). These circles, in which scholarly interests interacted with contemporary artistic movements, exerted a major influence on Alexander Carmichael’s greatest and most enduring work, the two volumes of Carmina Gadelica (1900). Encouraged and advised by his protégé the scholar George Henderson (1866-1912), though with the rather more sceptical counsel of fellow folklorists such as Father Allan MacDonald (1859-1905), Carmichael compiled and edited a substantial collection of sacred pieces, hymns, and charms, expressedly intended to illustrate the refined spirituality; the crepuscular rhapsodic mysticism; the visionary qualities of the people among whom he had lived for nearly two decades. 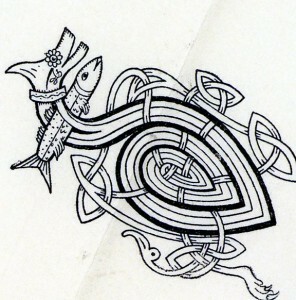 With the help of the publisher Walter Biggar Blaikie (1847-1928), and of his daughter Ella, Carmichael was able to fashion a landmark in Scottish publishing, a stately, sumptuously produced magnum opus, whose illustrations (by his wife) and hand-made paper were surely intended to recall early Christian manuscripts, to represent to the reader the original numinous experience of hearing the original chants and lays. Despite the enthusiastic response of most reviewers to the Carmina Gadelica, and notwithstanding that he was awarded an honorary LL.D. by the University of Edinburgh in 1906, scholarly doubts soon surfaced concerning the editing techniques employed. It is clear from Carmichael’s manuscripts that he was prepared to hone, polish, even rewrite substantial portions of his original material before publishing, smoothing metre, cadence, and rhyme, heightening and refining language, adding esoteric referents, even introducing obscure vocabulary in order to enhance the impact which the hymns and charms – and indeed the quotations from the informants themselves – would exert upon the reader of the Carmina Gadelica. Although Carmichael continued to collect lore for the rest of his life – many of his new informants were mainland contacts of his son-in-law the Gaelic scholar William J. Watson (1865-1948) – it is noteworthy that he did not see the further volumes he originally envisaged through the press. It was left to his daughter Ella to bring out a new edition of the first two books of theCarmina in 1928, with a third and fourth volume, edited by his grandson James Carmichael Watson (1910-1942), appearing in 1940-1941. Although later scholars have cast some doubt on the editing practices he employed in the creation of the Carmina Gadelica, Carmichael’s great work, and his manuscript collection as a whole, remain an indispensable treasure-trove, the fruits of a lifetime spent selflessly in the service of his own people, gathering, preserving, communicating and interpreting Gaelic culture, tradition, and lore for the wider world and for future generations. Alexander Carmichael died in Edinburgh on 6 June 1912, and is buried at the Cathedral Church of St Moluag’s on his native island of Lismore. Professor William John Watson died in 1948. His son, James Carmichael Watson, born in 1910, and successor to his father as Professor of Celtic at Edinburgh University in 1938, contributed to later volumes of Carmina Gadelica . James Carmichael Watson died, missing in action, in 1942. All volumes of Carmina Gadelica are available for perusal in the David White library in the Lismore Gaelic Heritage Centre.